Hokkaido is an island at Japan’s northern extremity, also least developed of Japan’s four main islands. During winter, Hokkaido is blessed with plenty of powder snow and it’s unspoiled nature has attracted many skiers and snowboarders. 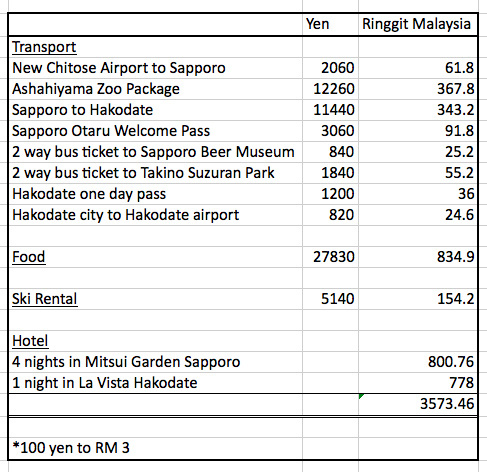 A lot of people have this impression that traveling to Hokkaido must be really expensive and doing it free & easy is difficult, because most tour groups departing from Malaysia/Singapore can easily cost RM 8000 per pax. Can you believe that we spent less than RM 1,800 per pax (excluding flight ticket) for the whole trip? We even splurged on a luxurious ryokan hotel on our last night in Hokkaido. 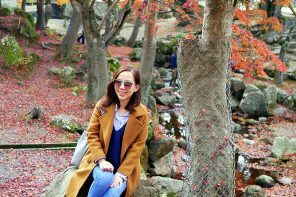 While Hokkaido is a very big island and there is a lot to see and do, with a little of bit of planning everyone can do it free & easy. As a “first-timer” to Hokkaido, our itinerary focuses on some of the more popular destinations such as Sapporo, Otaru, Hakodate and Ashahikawa. 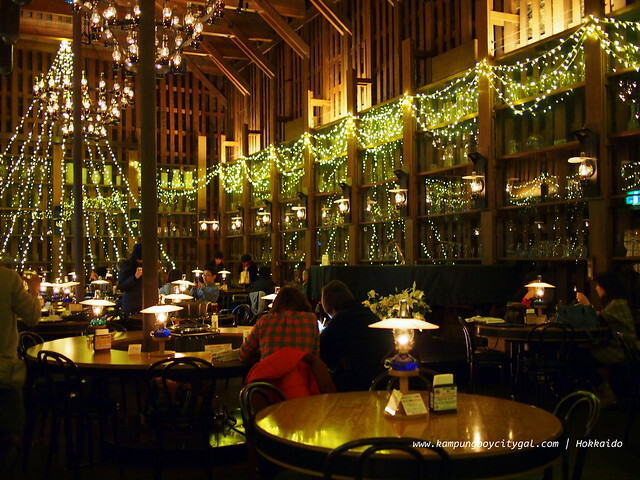 Of course, there are so many other interesting places in Hokkaido such as Furano, Biei, Abashiri and etc. So besides this particular trip itinerary, don’t let this stop you from seeing other things. That being said, I hope this is helpful to those of you visiting Hokkaido for the first time. I will elaborate more on Hokkaido Rail Pass, what to wear, getting cheap tickets to Hokkaido, subway passes and etc on my next blog post. We were really excited to see the vast frozen land from the aircraft’s window. We flew in to New Chitose Airport, the largest air terminal in Hokkaido. The airport offers many attractive shopping, dining and entertainment facilities such as the Doraemon Wakuwaku Skypark, Royce’ Chocolate World and Hokkaido Ramen Dojo which houses 8 famous ramen outlets across Hokkaido. There’s even a hot spring bathhouse situated in the terminal building itself. Remember to drop by the JR Information Desk to purchase of exchange your Hokkaido Rail Pass. 1) New Chitose Airport and Sapporo Station are connected by frequently departing JR rapid trains (35 minutes, 1070 yen one way, 4 trains/hour). Seat reservations are optional and cost an additional 310 yen. The trains are covered by the Japan Rail Pass and Hokkaido Rail Pass. Timetable here. 2) Airport buses operate every 15 minutes between the airport and various places in downtown Sapporo, including Susukino, Odori Park and Sapporo Station. Some of the buses also serve selected major hotels in the city. 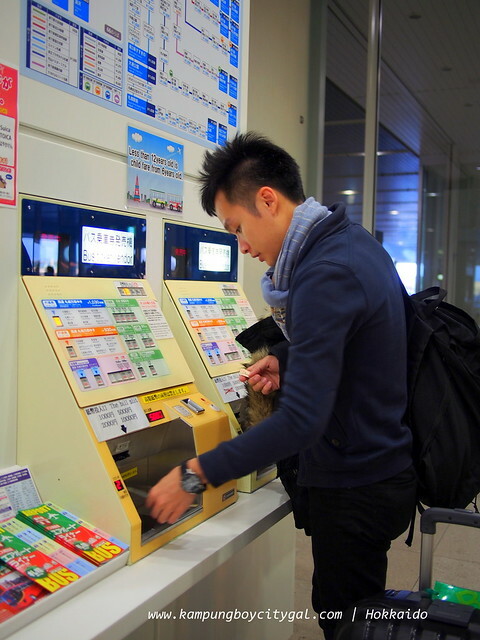 The one way trip takes about 70-90 minutes and costs 1030 yen. Bus schedule here. We opted to take the bus because we do not want to pull our luggage on the snow covered road. The bus stopped near to our hotel. It turned out to be a bad decision because the whole bus journey took us about 1.5 hour and our hotel is only 4 minutes on foot from West Exit of JR Sapporo Station. We should have just walk! 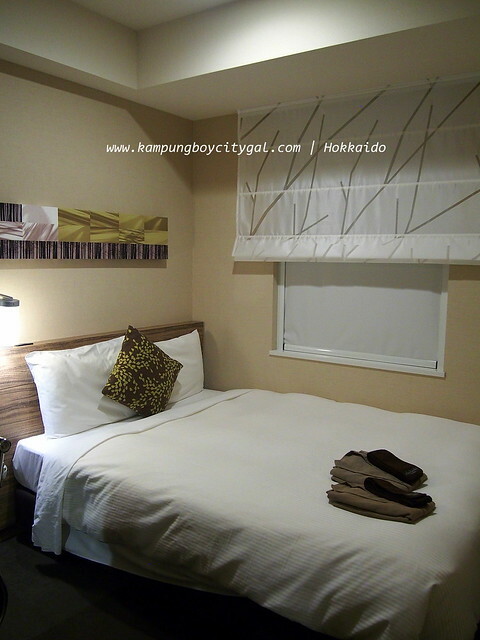 We were very happy with our choice of hotel – Mitsui Garden Hotel Sapporo. It costs only RM 200 per night and we stayed for four nights here. The location is perfect, walking distance to almost everywhere. The room is very small but well equipped, there’s even an air humidifier in the room. We also enjoyed the public bath facilities located on the second floor. From our hotel, we walked to Sapporo TV Tower, a 147.2 meters high structure with an observation deck where one can take in the panoramic views of Sapporo city. Admission: The lower (3F) observatory deck is free. There is a 700 yen fee for the upper observatory deck. 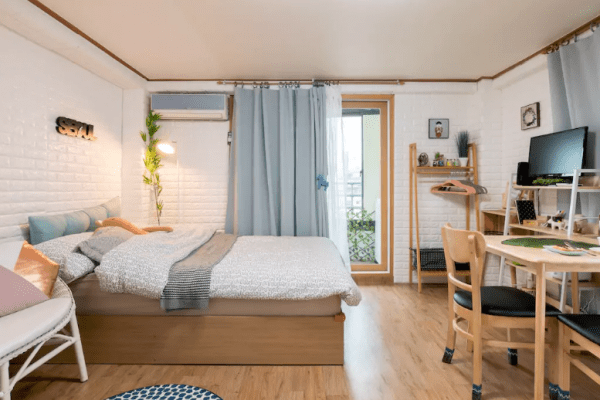 Located at the East end of Odori Park, a one minute walk from Odori Station. 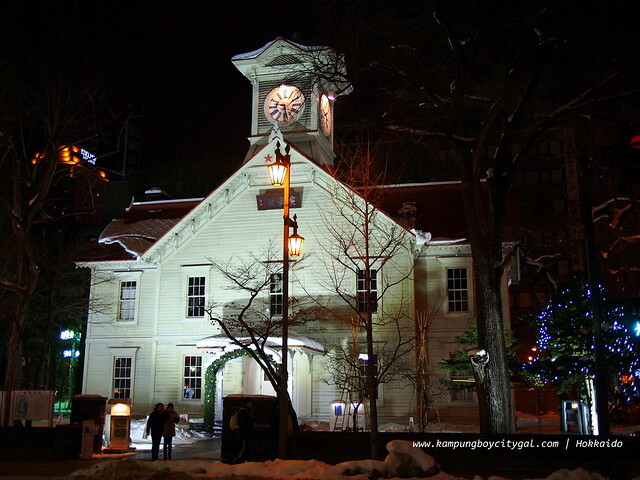 The Clock Tower was built in 1878 and is therefore regarded as both a historical and cultural symbol of Sapporo. At night, the building is exceptionally beautiful with some light illuminations. The tower is located between Odori and Sapporo Station at Kita 1,Nishi 2. Its a three minute walk from Odori Station (Exit 7) and about 10 minutes from the station. Odori Park is the heart of Sapporo, between the centre of Sapporo station and Susukino station. 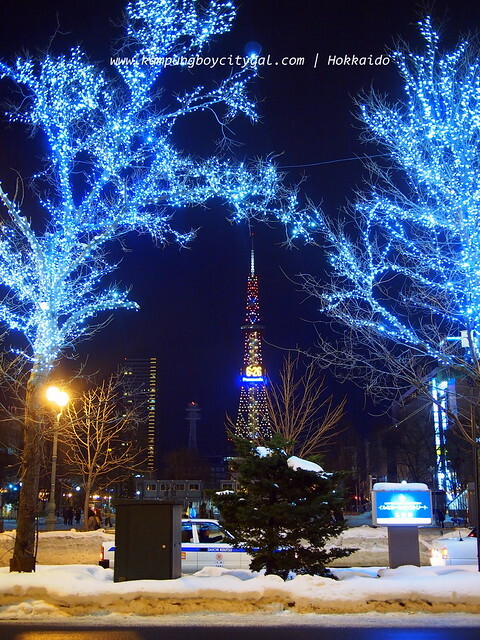 When we were there, Odori Park is lighted up with various illumination. However, in February Odori Park is the main site of the Snow Festival, Sapporo’s largest tourist attraction of the year. It will be even more beautiful by then! Take the Nanboku, Tozai, or Toho Subways to Odori station. The park runs east to west over the station area. 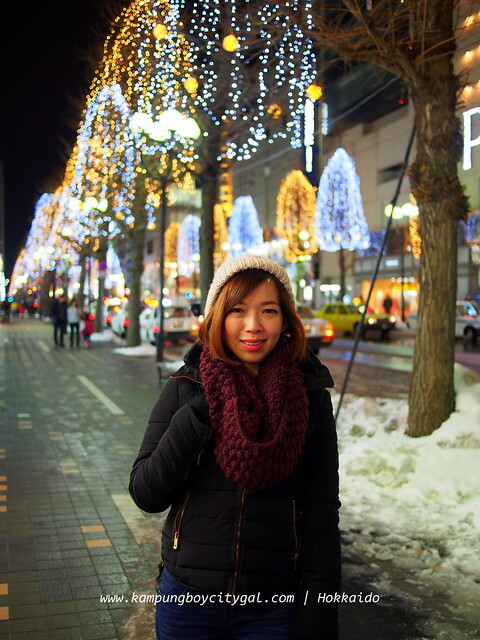 The Sapporo Ekimae-dori underground walkway (Chi-Ka-Ho) is god sent during winter season. 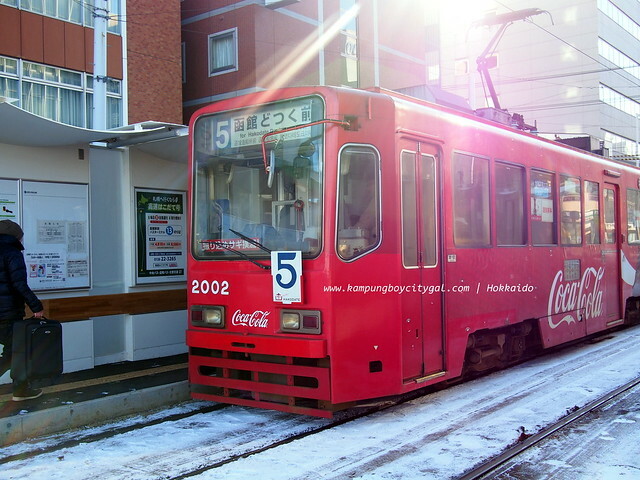 It is linking Sapporo Station and Odori Station on Subway Namboku Line. 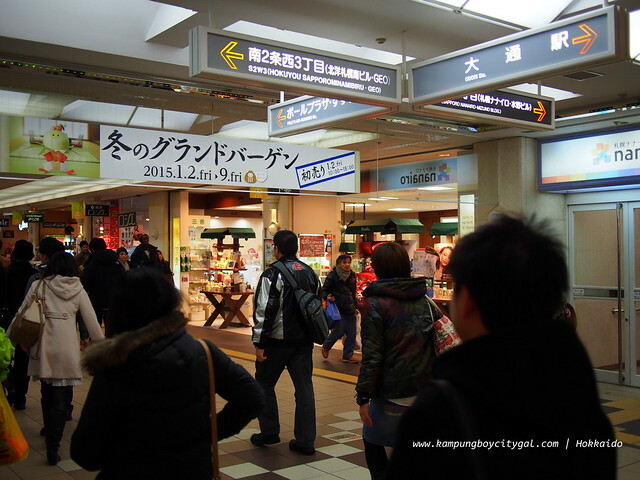 It was too cold for us to walk outside, so we took the underground walkway to Tanukikoji Shopping Arcade. There were so many to see and shop along the 520m long underground walkway too. 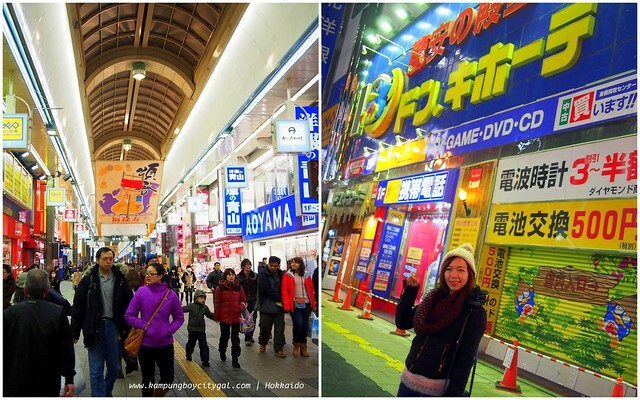 Tanukikoji is an approximately 1km-long arcade with around 200 shops that runs east to west in downtown Sapporo. The arcade features many tax free souvenirs shop, making it a great place for tourists to stock up. There is a 7 storey high Donji-quote in Tanukikoji shopping arcade too. I remembered how bobostephanie and fourfeetnine went crazy over the Donji-quote in Tokyo and Nagoya so we went in and be awed by the varieties here – they have everything from LV bags, electronics, household products to fake eye lashes, baby diapers and food! We had our dinner at the famous GARAKU CURRY スープカレー. It was one of our most memorable meal in Hokkaido. It is a very small but popular shop so be prepared to queue. The soup currries were both loaded with lots of local vegetables so it was sweet and spicy at the same time. Best thing to have on a cold winter night! Towards the second day of our trip, we took a train to Asahikawa (旭川市), the second-largest city in Hokkaido, after Sapporo. 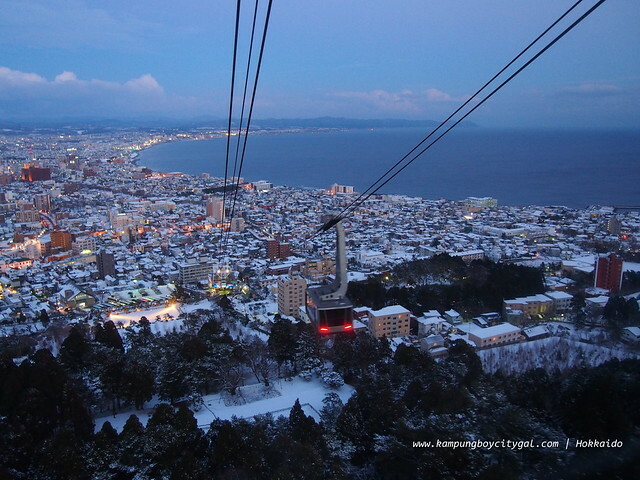 The city is well known for Asahiyama Zoo and Asahikawa ramen. The train ride was 1.5 hour, followed by a 40 minute bus ride to Asahiyama Zoo. 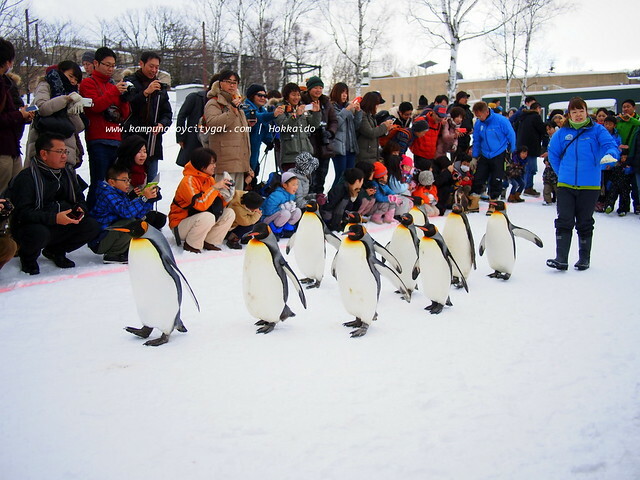 The reason why we traveled so far is for the Penguin Parade (11am and 230 pm)! The zoo was also one of the first to organize penguin walks in winter. We were here on the last day of the zoo’s operating day in 2014, hence the crowd was huge. We also missed taking the special zoo train (more information here) because the train stopped operating on the 29th of December. However, the zoo’s staff handled the crowd pretty well, everyone gets to see the penguin parade up close and personal. The penguins were too adorable, especially the little ones who always derail from the entourage. Watch the video here! We had lunch inside the zoo’s cafeteria. Food was good with reasonable pricing! My Asahikawa ramen comes with a cute sheet of seaweed too! Other highlights include a glass tunnel through the penguin pool that allows visitors to observe the birds’ underwater flights, and small glass domes in the middle of the polar bear and wolf enclosures that can get visitors right among the animals. JR to Asahikawa station. 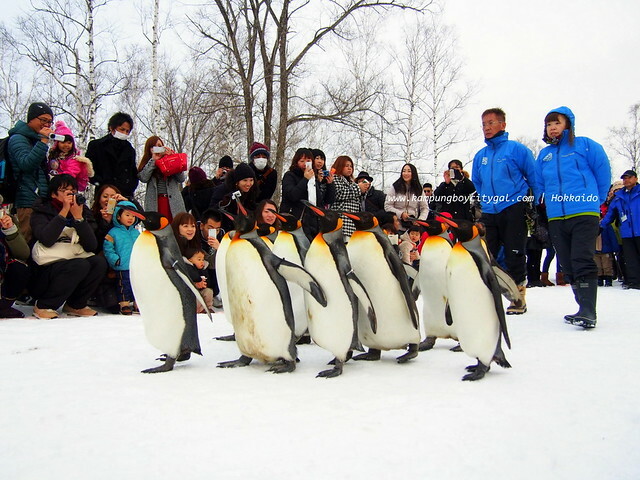 Take bus number 41, 42 or 47 from Asahikawa Station to Asahiyama Zoo. The one way ride takes 40 minutes and costs 440 yen. There are about two buses per hour. We purchased the Asahiyama Zoo Ticket package (6130 yen) which includes the train ride, bus ride and Admission Ticket to the Asahiyama Zoo. The admission ticket does not need to be exchanged to a zoo admission ticket at the zoo. There is also a special zoo train that runs on selected day. More information here. From Asahikawa Station, we took the JR train back to Sapporo Station. 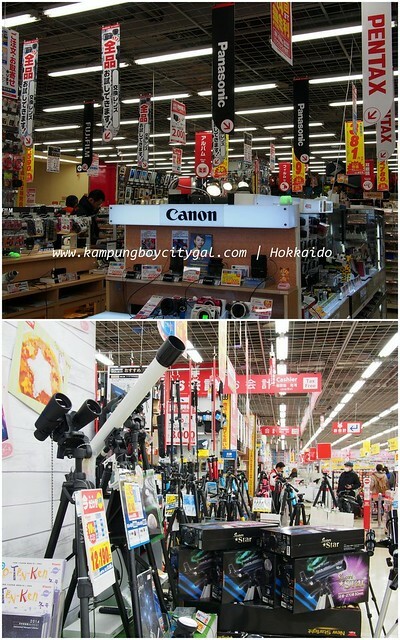 There are 6 shopping malls within the Sapporo station complex and one of them is Daimaru Department Store. 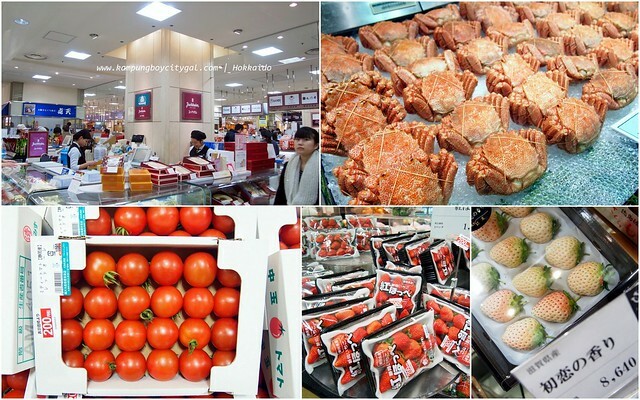 We really enjoy browsing through the various offerings in the food hall. 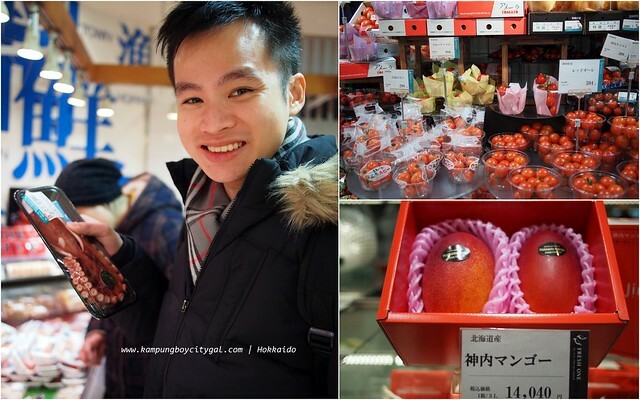 There were so many exotic and premium fruits available for sale here! Stella Place is another mall adjacent to Daimaru Department Store. The disney store here is huge! There are many young apparels brands here as well. We could just spend hours here. We queued for one hour just to dine in the famous Hanamaru Sushi. 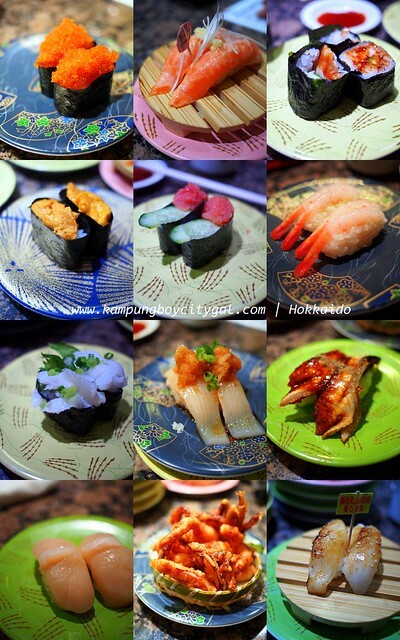 What you can expect is good sushi at really reasonable prices. We had so much and our bill came to 3000 yen (RM 90), pretty good deal right? We woke up early to pay a visit to the Former Hokkaido Government Office, one of Hokkaido’s best-known symbol and the red star on its exterior wall is the symbol of the Hokkaido Development Commission. The red bricks stand out against a back drop of white snow, so beautiful in pictures! We were going to spend one whole day in Otaru. 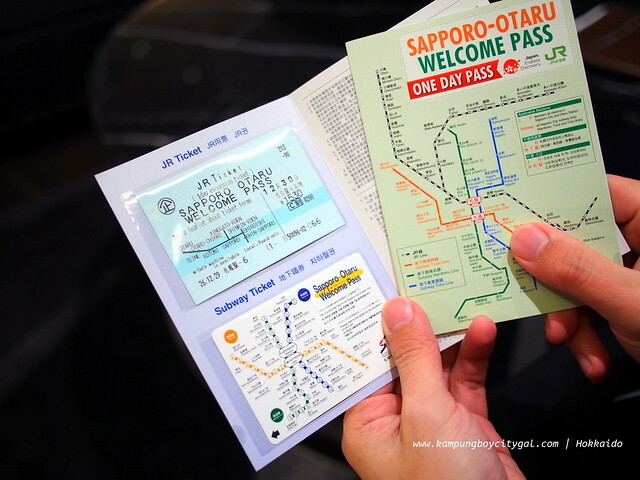 The Sapporo Otaru Welcome Pass (1530 yen) is available only to travelers from abroad, allows unlimited rides on JR Hokkaido trains between Sapporo and Otaru and on all subway lines in Sapporo for 1 day without additional charges. Otaru is famous harbor and port city. During the development of Hokkaido, Otaru experienced a boom as one of the only port facilities in this region and also as a herring fishing area. During this boom period Temiya Line (手宮線, Temiya-sen) was also constructed to transport coal. 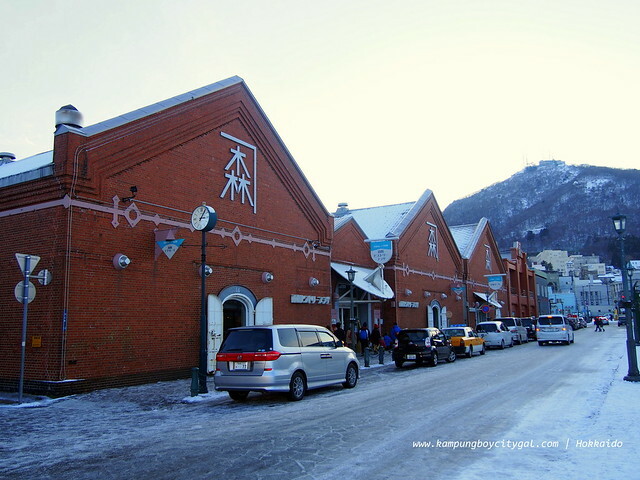 From Otaru railway station, it was a 10 minutes walk to Otaru Canal. This canal runs for a part way through Otaru city and is lined with old warehouses buildings from the late Meiji period. Red bricks again. Red bricks and snow scene is perfect combination. 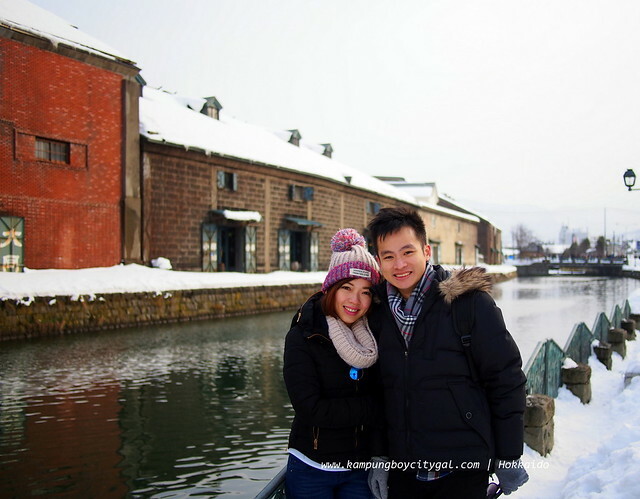 From Otaru Canal, it was another 10 minutes walk to the famous Sakaimachi Street. The whole street of Sakaimachi is lined with old architectures and many crafts shops as well as pastries shops. 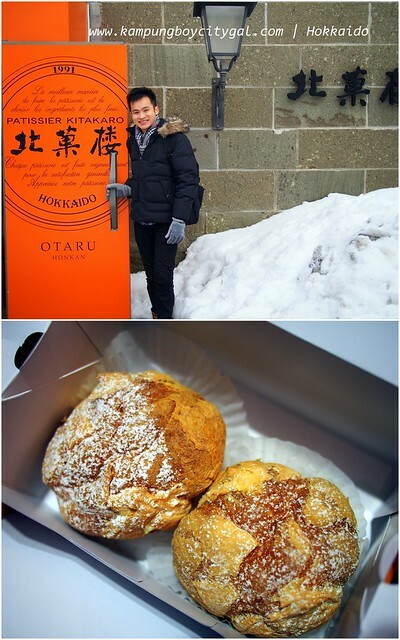 Remember to try the famous cream puffs from Kitakaro. “It tastes like dreams”, as the Japanese said. It was really really good, especially the lusciously rich custard cream. 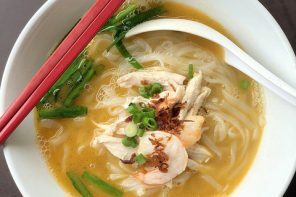 It is best eaten fresh because no preservatives is used. 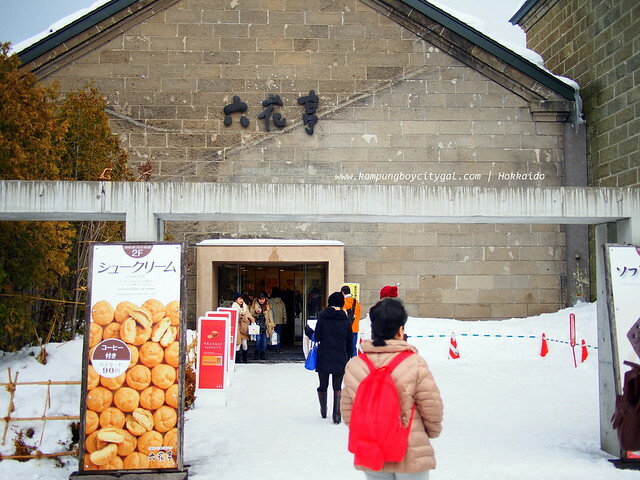 Rokkatei is another famous pastry/souvenir shop in Otaru, other than Kitakaro. Don’t say I never warn you – there’s no turning back once you stepped into Rokkatei. All the cookies, chocolates and cakes in Rokkatei have really beautiful packaging that appeals to ladies most. Even I can’t resist by purchasing a few boxes of their famous butter cookies with rum and raisin filling. Kitaichi Glass is a long-established handmade glassware shop in Otaru. Kitaichi Glass used to manufacture oil lamps before the electricity came into use so they have the Kitaichi Hall which is a café room where 167 lamps light up the entire space, filling it with a very fantastic mood. The terrace in Kitaichi Glass 3gokan serves six-layered soft ice cream for only 500 yen. 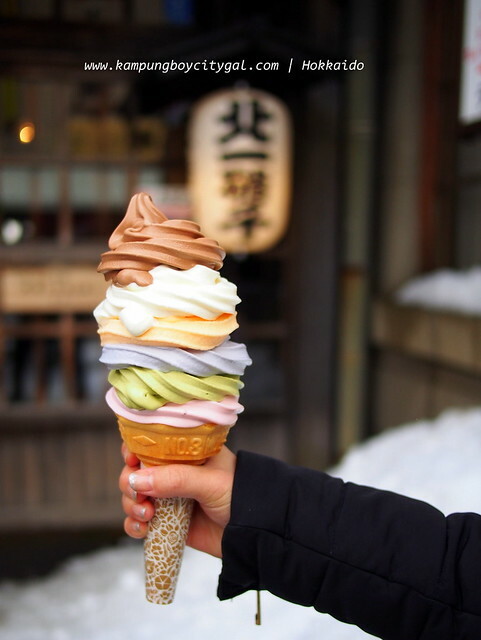 There’s also 12 layers ice cream if you are up for some ice cream eating challenge. 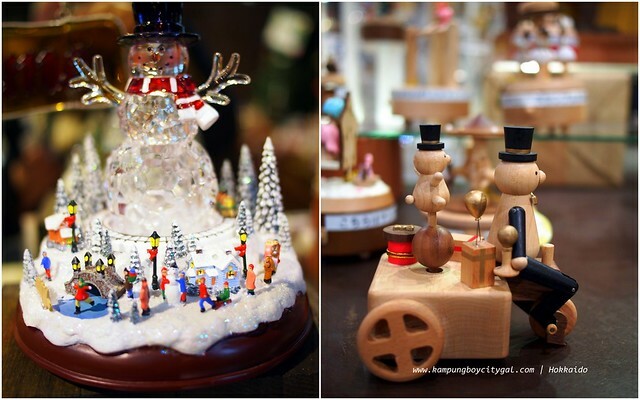 One must also visit Japan’s largest music box shop built in 1912- the Orgel Doh Otaru Music Box Museum when in Otaru. The whole place is so whimsical looking! Cute glass products and music box! 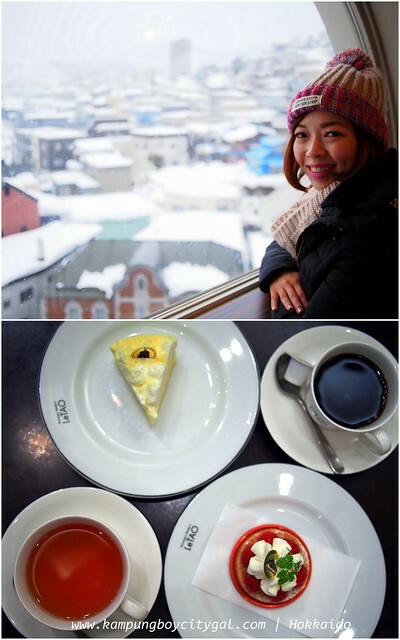 Another must try dessert in Otaru is LeTao’s double fromage cheesecake. Our afternoon tea set doesn’t come cheap at 868 yen per pax but it was delicious nonetheless. There is a free observatory with lighthouse motifs at the top floor where one can see the landscapes of Sakaimachi, houses and streets of Otaru and Otaru canal. We chose to have our dinner in this tempura shop call Ishimizu てんぷら石水(天婦羅石水) in Otaru Denuki. It is a really small shop which can only fit maximum 8 patrons. 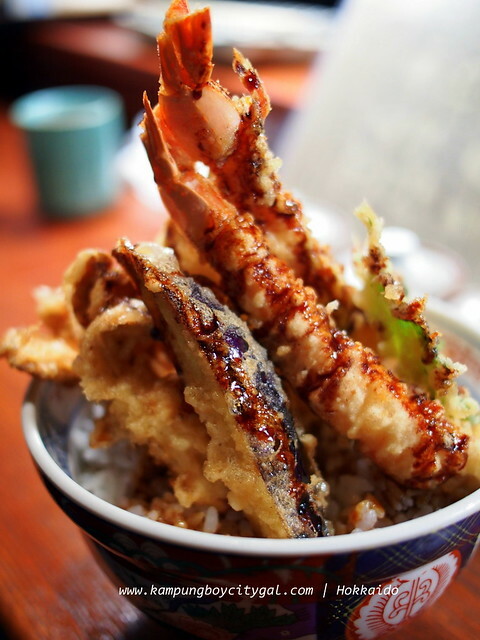 It was one of the best tempura that we have ever tried! Most of the tourists left otaru by 5pm, making it a quiet and peaceful place again. 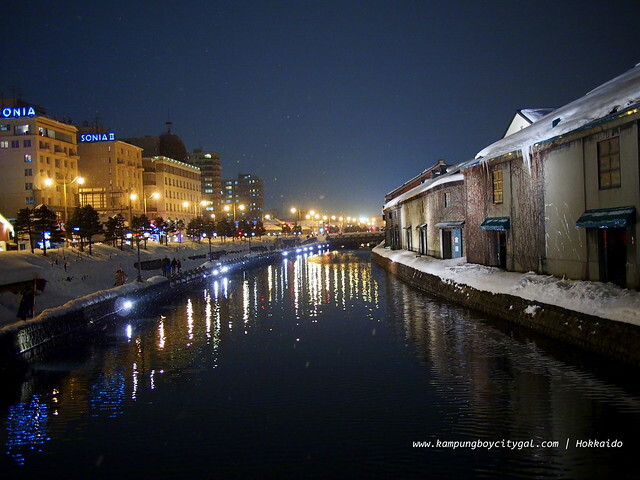 Otaru canal lit by street lights is so beautiful. We took the JR train back to Sapporo Station. Then from the north gate, we took a bus (210 yen one way) to Sapporo Beer Museum. 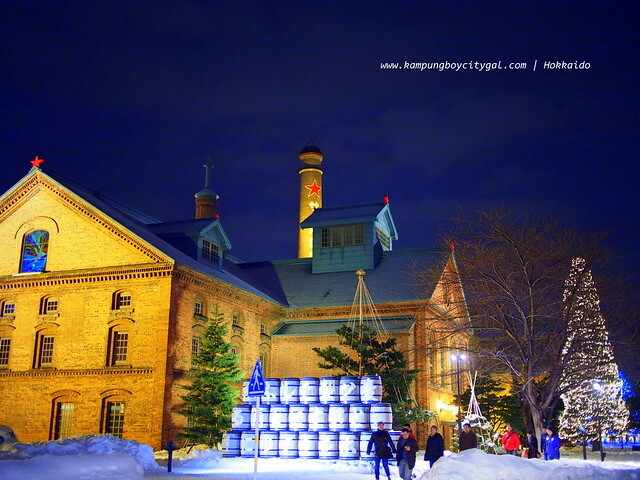 The Sapporo Beer Museum is the only beer museum in Japan. The red-brick building was erected originally as a factory of the Sapporo Sugar Company in 1890, and later opened as a museum in July 1987. We missed the museum tour (free) as we arrived late. Next time when you are here remember to make it a point to visit the museum. Subway:Toho Subway Line, get off at “Higashikuyakusho Mae” and walk 10 min. Bus: Take the Chuo Bus Factory Line (Kan 88) and get off at Sapporo Beer Garden, about a 1 min. walk from there. The building also houses the Sapporo Beer Garden in the south wing. We made a reservation to dine at te Kessel Hall where we had Gengkhis Khan BBQ on hot plates shaped like Hokkaido, and drink all the delicious draft beer. 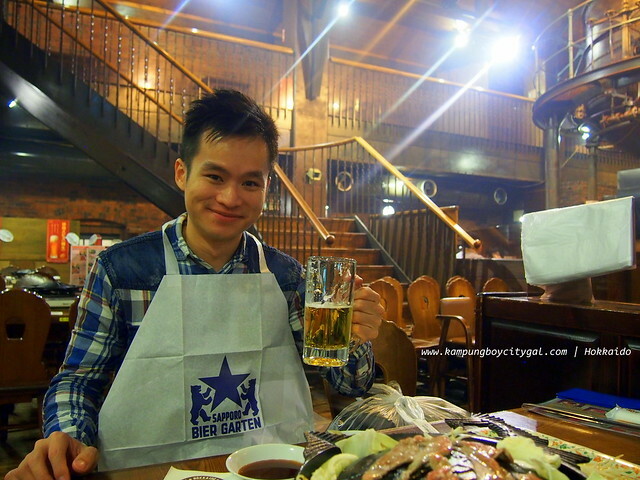 All you can eat BBQ and beer costs about 4104 yen per pax. Using the one day sunway ticket from our Sapporo Otaru Welcome Pass, we departed to Makomanai station to catch a bus to Takino Suzuran Park. 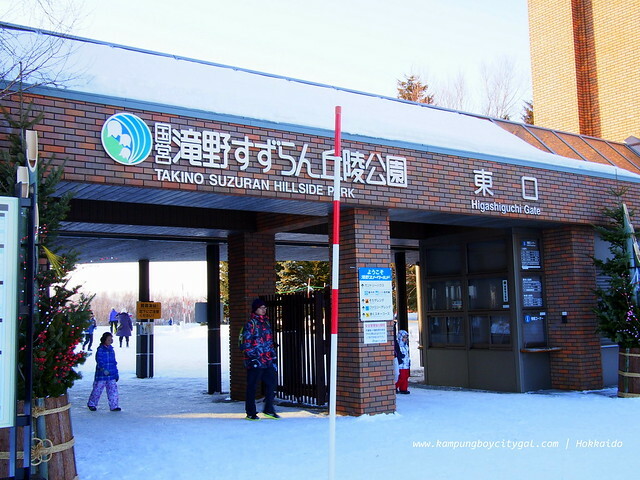 Every year during winter, Takino Suzuran Hillside National Government Park opens as “Takino Snow World.” and admission is free. To get there via public transport take the Sapporo Subway Nanboku Line (green line) from Sapporo Station to Makomanai Station (20 min, use otaru subway pass) and then the Chuo Bus #102 Takino Suzuran Koen Line to the Suzuran Koen Higashiguchi stop (30 min, 430 yen). The 250-meters-long and 7° slope is perfect for first time skiers including kids. There are also cross country skiing trails for beginners, 3 and 6km trails for moderate skiers, and 10 and 16km trails for advanced skiers. 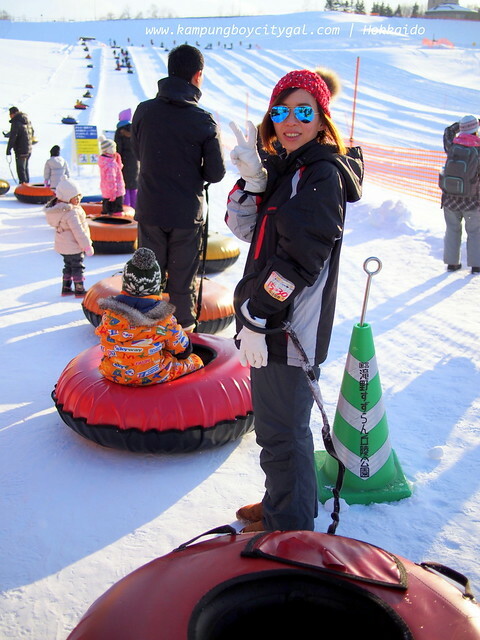 Lift tickets for the family slope are ¥150 for adults and ¥100 for junior high school students and younger children. Ski equipment can be rented (¥2,570 for adults, ¥1,540 for junior high school students and younger children; ¥820 and ¥510 respectively for cross country skis). I kept falling down so many times during each attempt but KampungBoy managed to master it in just minutes. I was so jealous! Do you want to build a snowman? 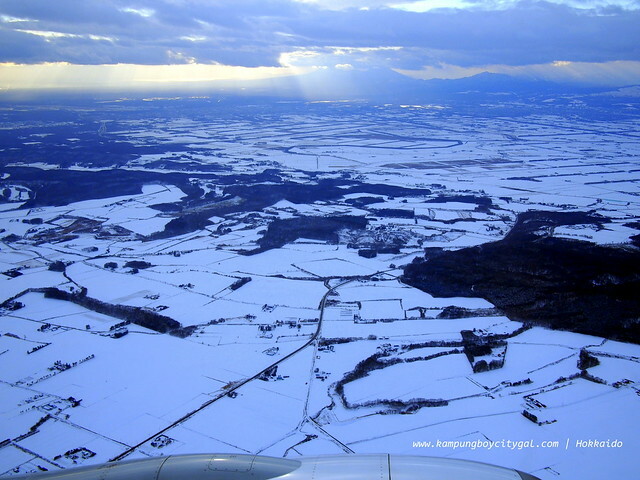 It is not an easy feat, as the snow in Hokkaido is too powdery! We also enjoyed the tube sledding a lot. The tubes were free to rent and so was the rope-towing facility that pulled us up to the top. We did it a few times as it was really fun! We were grateful that we spent our day in Takino Suzuran Park instead of a lavish ski resort. We took the train back to Sapporo JR station and dined at Butadon Meijin. 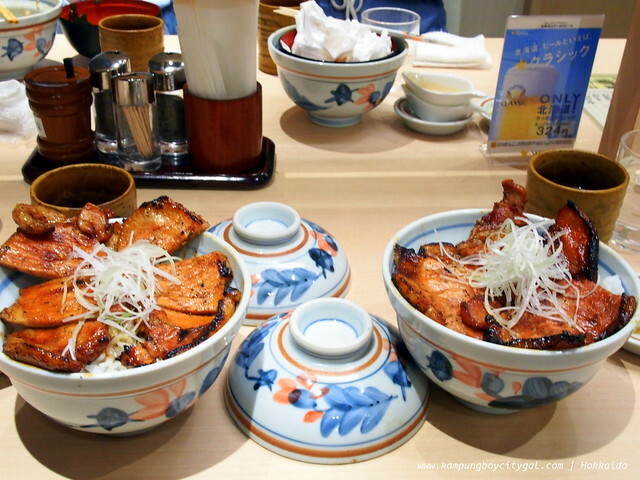 This eatery features sumptuous pork bowls created by dressing carefully selected Kenboro Pork loin from Tokachi with a traditional secret sauce and grilling it to perfection. Rise and shine! Happy new year! We woke up early wanting to join in the shopping frenzy for fukubukuro (lucky bag) but the queue put us off. You can’t beat the Japanese when it comes to queue! Fukubukuro is a Japanese New Year custom in which merchants make grab bags filled with unknown random contents and sell them for a substantial discount and normally one can get a really good deal out of it. We catched the 10.25am train to Hakodate. It was a busy traveling day so we queued up early to grab a seat at the “non reserved” cabin. Non reserved tickets are normally cheaper, hence you are not guaranteed a seat. Some people had to stand and endure the 3.5 hours ride to Hakodate. 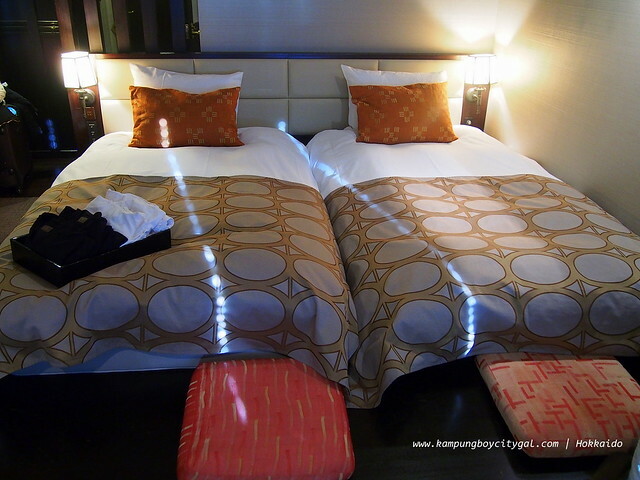 We checked in to Hotel La Vista Hakodate, the best hotel through out our trip, also rated no. 1 in Trip Advisor. From JR Hakodate Station: About 15 minutes on foot. About 8 minutes by the one-coin city loop bus LCSA Motomachi; alight at the hotel’s stop. About 7 minutes by streetcar to Jujigai, followed by 5-minute walk to hotel. From Hakodate Airport: About 20 minutes by taxi. About 30 minutes by Hakodate Teisan shuttle bus; alight at Bay Area-mae. 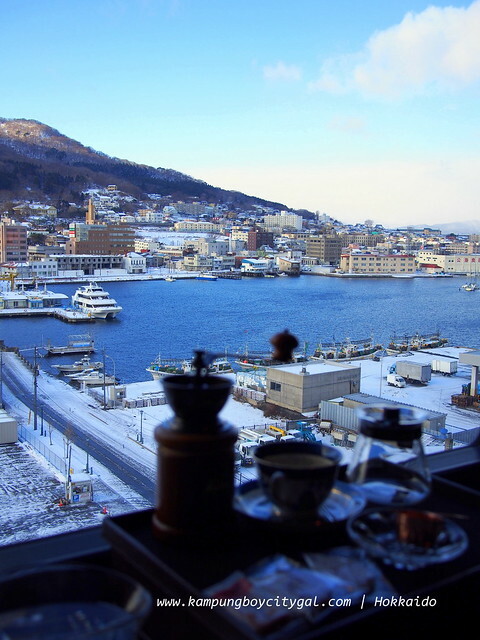 Our room is spotted with a spectacular view overlooking Mount Hakodate and the bay area. The room comes with little touches such as coffee grinder, coffee beans and their home made cookies. We enjoyed our coffee in the room when it was still snowing outside. 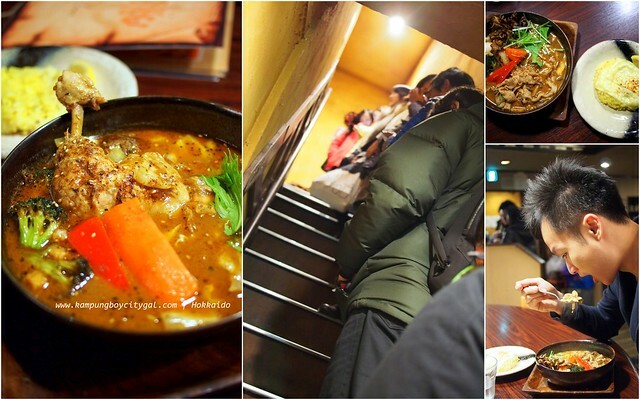 Across the lobby there are many good restaurants, one of them is a famous ramen shop in Hakodate. Turn right then within 5 minutes walk, we were at the bay area where the red bricks souvenirs mall shops are. The red-brick buildings are now home to some 40 unique shops, selling items such as knick-knacks and accessories. “Jujigai” streetcar stop, then 5-minute walk to the Kanemori Red Brick Warehouse. For lunch, we headed straight to the famous Lucky Pierrot Burger at Bay Area. 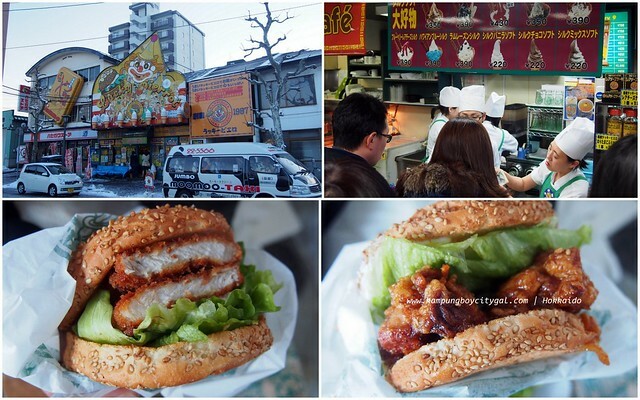 Must try their “chinese burger” as they have already sold it by millions. It was really, really delicious! From Bay Area, we walked to Motomachi are. 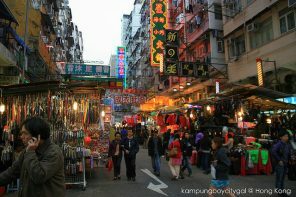 It is a very picturesque area with many western looking buildings that overlook the bay. With sloping streets offering views of the port and stylish western buildings such as Hakodate Orthodox Church, Old Public Hall of Hakodate Ward and Old British Consulate to be seen, a leisurely stroll around the area is definitely in order. We were lucky to be able to see this “million dollar view”, thanks to the good weather. “Jujigai” streetcar stop, then 10-minute walk to the Ropeway station and 3-minute ride on the Ropeway delivers you to the summit. The historical buildings in the Motomachi area are lit up at night. In winter , the trees lining the sloping streets are strung with lights as part of an event known as the “Hakodate Illumination,”. So romantic right? So we can’t resist! Haha! Dinner was these take away bentos from Hasegawa Store, Bay Area shop. 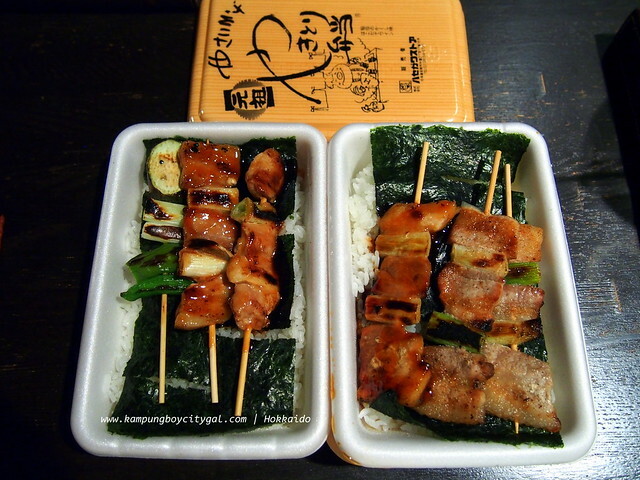 The Yakitori Bento of Hasegawa Store has become one of local specialties of Hakodate. The grilled chicken in miso sauce and salt flavour was really tender and juicy. The rooftop onsen was definitely something unique for us. There are outdoor and indoor area. I felt adventurous so I went for the outdoor onsen. The view was so good. They have this cute pyjamas and little baskets in the room for you to bring to the onsen area. I really liked how the hotel provides free ice-cream bars for residents to enjoy after onsen. We woke up early to enjoy our outdoor onsen while watching the sun rise. The lavish buffet breakfast in La Vista is also highly anticipated. 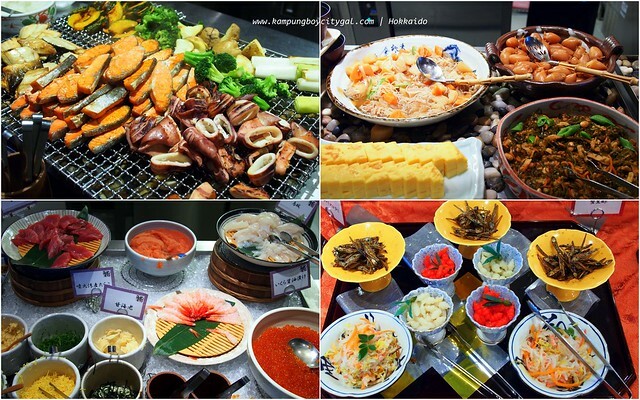 The varieties of of fresh seafood and local vegetables were overwhelming! A day pass for unlimited use of trams on one calendar day is available for 600 yen. If you are lucky, you will be able to take the Hakodate Haikara-gō, a vintage tramcar introduced in 1910 and still operated for tourists. 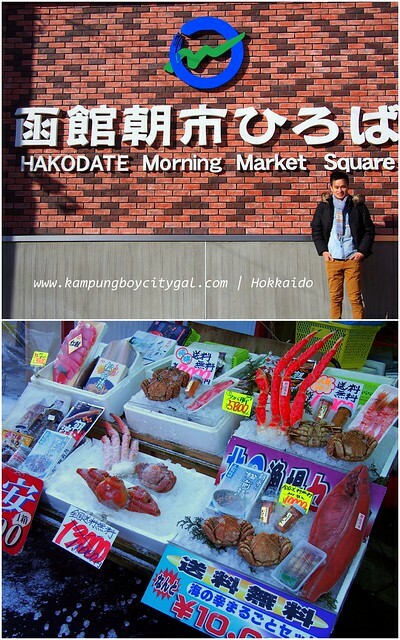 We visited the Hakodate Asaichi (Morning Market) that offers an array of delectable fresh Hakodate produce. The Morning Market is open for business from as early as 5 am (6 am during the winter) and closes at noon. We were too full to eat but we managed to buy some dry scallops for our parents. We took the tram to Goryokaku Park. It is a star-shaped fort that has been designated as a special historic site. If you go up to the Goryokaku Tower Observatory you can have a panoramic view of the fort. The park is famous for cherry blossom viewing during spring time because there are 1600 trees lining the star shaped fort. 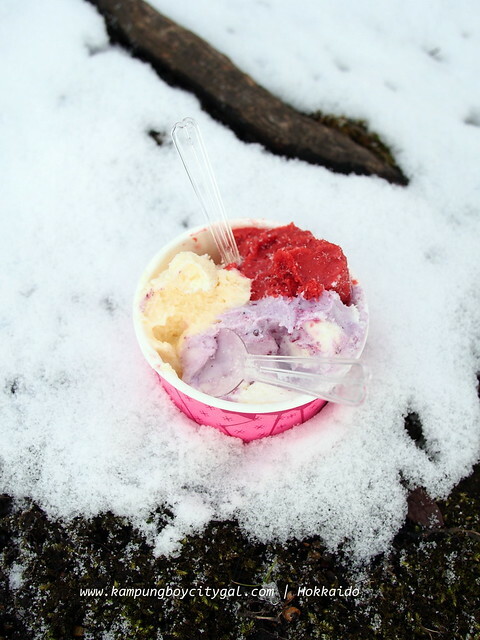 We can’t resist having some gelatos from Milkissimo (500 yen, 3 flavours) too! We visited the Hakodate Magistrate’s Office (Bugyosho) that showcase Traditional Japanese Architectural Mastery. However, we got to leave early as the snow fall is getting heavier. Admission: 840 yen (adults) * Tower Observatory admission fee. General entry is free. I think I left my heart in Hakodate. Hakodate Airport is a 20 minute bus ride (410 yen) from Hakodate. There is a bus stop right outside La Vista Hotel. 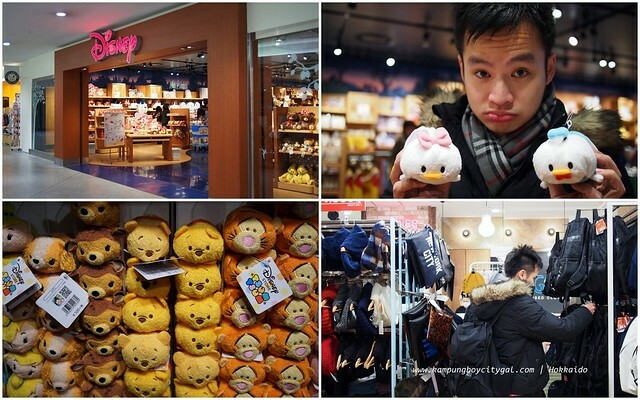 We went crazy with omiyage (souvenir) shopping at the airport. Find the Best Agoda coupons, Promotions & Cashback at ShopBack.my! 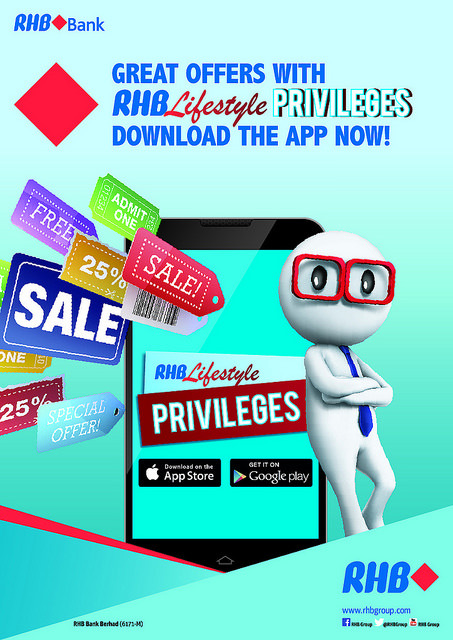 hey KBCG, been waiting for this post, thanks for burning the midnight oil ^_^ it’s really unbelievable to explore so much with so little spent… do you mind sharing which airline you chose for the international routes back & flow KL? & how much is considered reasonable for the flight? Wow, great itinerary. How do you do all the planning and obtain all the information? 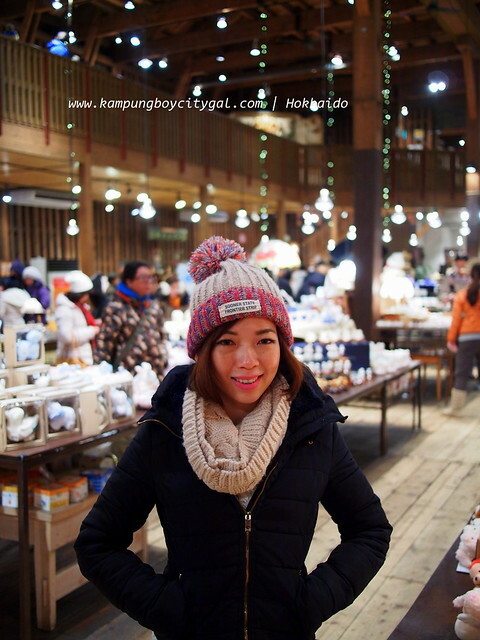 Really cheap trip to Hokkaido. Its really beautiful and well written!!! Wonderful trip & post. I was in Hokkaido few years back, transit in Tokyo with AA (zero fare), it was not winter yet, end Nov but with snow in Sapporo. Love the snow-capped scenes you’ve shared. 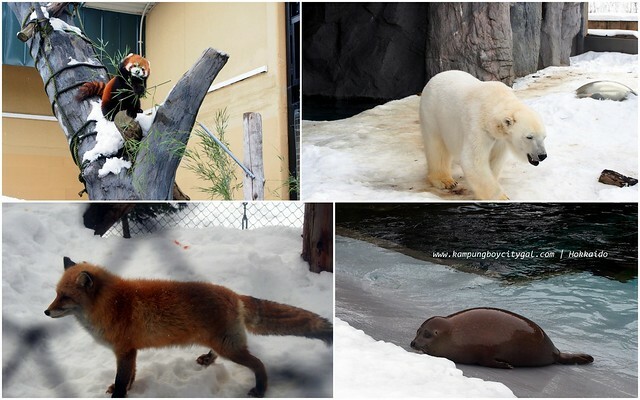 Yes, definitely agree on Asahiyama Zoo, worth the trip to Asahikawa. And Le Tao cakes & cream puff really to die for. I had it almost daily in Sapporo Daimaru after tasting it in Otaru. Good sharing.. the only thing I realize is that the hotel now cost around RM500 per night..
Hi, your post is very informative! However, would like to clarify if the Hokkaido railway pass included traveling to otaru, zoo and Hakodate? Why must the package be separately purchase again? Hi, this post is very informative! 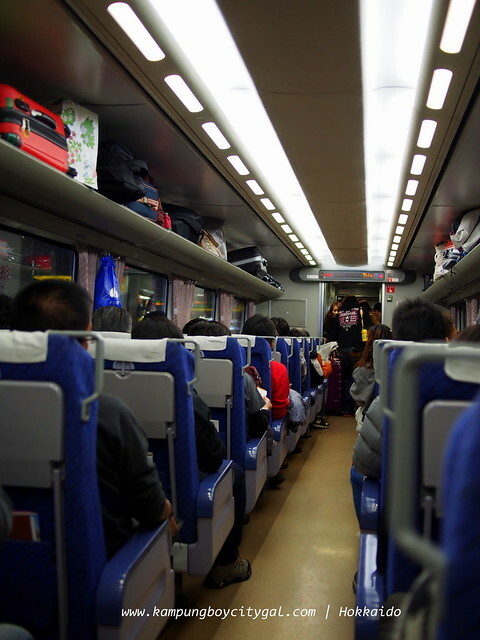 Could I clarify if you have purchased the Hokkaido Rail pass? Or did you just purchase all the train tickets seperately? Hi XH no we did not buy. we only travel to 1 place per day so its not worth to buy. 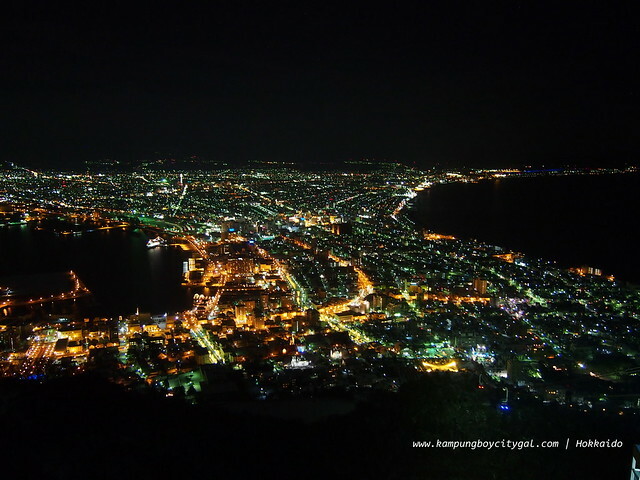 How you go to La Vista Hakodate from JR Hakodate station? Via bus or the city tram? Is it easy/convenient to bring luggage taking city tram or their city bus? I love your blogs, very informative & detail. 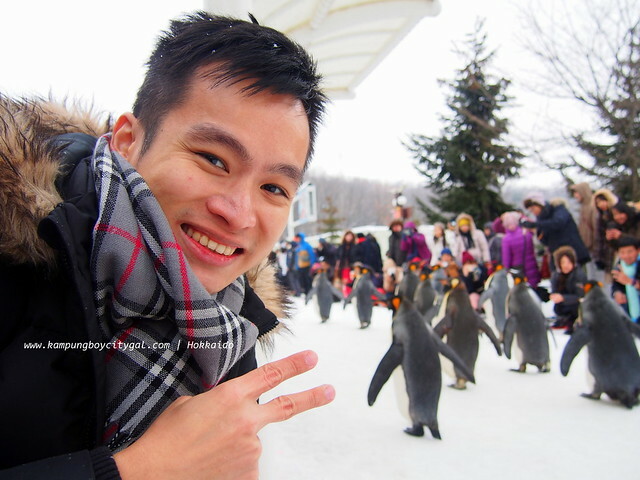 I have been following you & using your blog as a reference for my trips to Taiwan & Boracay. Please continue to travel & blog.God bless you two. hello thanks for your informative blog. 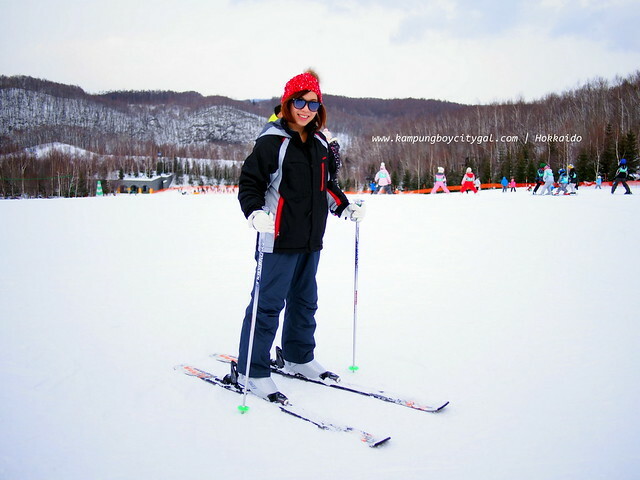 May I know if you paid for any ski lesson at Takino Suzuran Park? Is the lesson in Japanese only and is it easy to pick up? We’re complete noob and would like to try out skiing there before looking at ski resort.